"Even the parts are a delight: the shape of the head, round or pointy or heart-shaped, the alert ears, the whiskers ever busy, the rosette of the paws, the soft mound of belly arching up to be rubbed, the eyes whether orange or yellow or blue or green, marvelous eyes that can glow green or red magically, the tail so sensitive that a cat can tell when your fi ngers make a loop around it, untouching. Th eir fur has so many beautiful colors and patterns, long or short or medium or curly, and is a delight to stroke. You can admire your cat for hours, and she wishes you would. 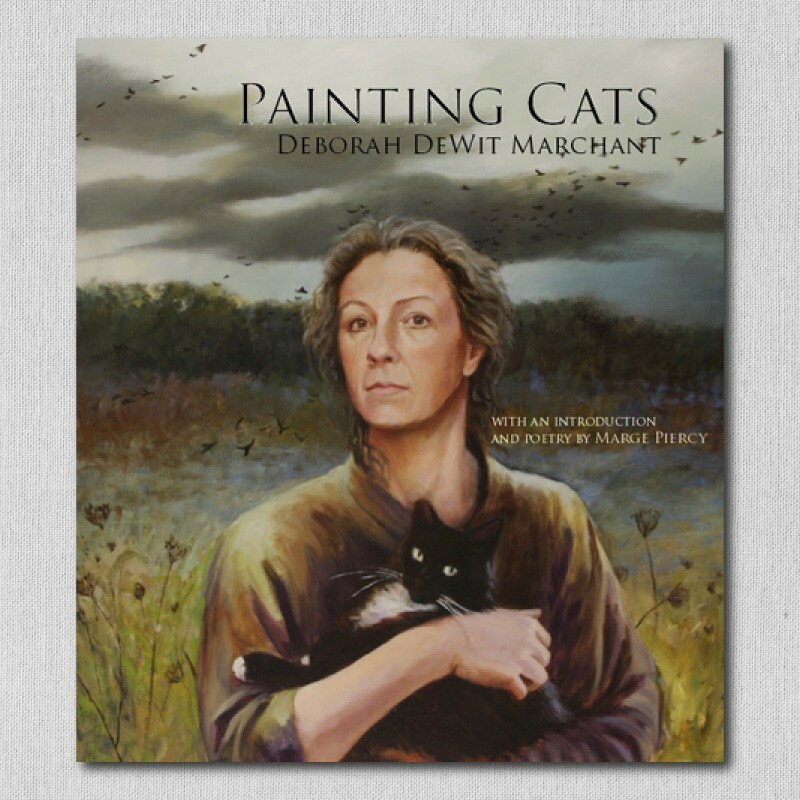 Deborah’s oils and pastels invite you to do just that. They are reminders of the natural beauty and unique companionship these animals bring to our lives. Some of her cats are inside, some outside, some almost hidden from us by a curtain or greenery; some are stalking or climbing, some are contemplating, some are sleeping, but all are true to their natures and pleasant to behold."